There are times when your website or application might get hacked. The usual reasons include weak passwords, outdated software or poor code (especially on validating user input). The same apply to OpenX – your ad server can be hacked due to an outdated version of OpenX, weak passwords, insecure server settings or a combinations of the above. 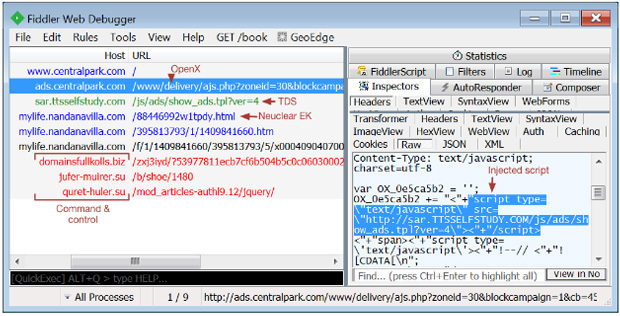 Most common hacks add an iframe or script to the banner page distributing malware (a virus, trojan horse, or similar). This can get your website (the one that uses your infected openx server) to be blocked on all major browsers and most of the search engines. To decrease the chances of having your openx hijacked, it’s recommended to follow these quick and easy steps. You’ll notice that some of them apply to any web application, like using strong passwords (at least 6 chars, using both uppercase and lowercase letters, digits and special chars). 1. Always update the application and plugins to the latest versions. This ensures your ad server has the latest patches and security fixes, but it also makes hacking a bit more difficult. You can check if you have the latest version by going to Configuration / Product Updates in the OpenX administration interface. 3. If there are other users who manage the inventory, create separate accounts for them and make them advertisers, not admins. Keep the admin account safe and do not share it with anyone. 4. If you only server banners on your website(s), you can remove all users from Advertisers and Websites. As a general rule, when you create a new advertiser, do not also create a username. If you don’t offer OpenX access to advertisers, there’s really no point in adding new users. 5. Always use the logout link to log out, instead of just closing the tab or window. This prevents session hijacking or keeping an active session on a public computer. 3a. Change the database structure of the zone’s table so it doesn’t allow append & prepend codes anymore – thanks Stefan for suggesting this. Make sure to replace “openx” with the table prefix you use. 4. Set the proper permissions to all files & folders – all files should not be writable by the server by default, except the var/, plugins/ and www/images/ folders. It’s important to find out all infected files or database entries and then figure out how they got there. Do not remove anything befire understanding how you got infected in the first place. You can disable the openx server temporarily (by adding this line in an .htaccess file in the folder www/delivery: deny from all). Once you know where the security breach is, fix it, harden the server, change passwords (just to be sure), clean up the infected data and remove the deny all line from the .htaccess file. We can also help you cleaning, securing and upgrading your openx installation(s) – contact us.